It’s pointless to describe “The Lone Ranger” because even it doesn’t know what it wants to be. The result is a long, often confusing film with an underwhelming performance by Armie Hammer as the title character. 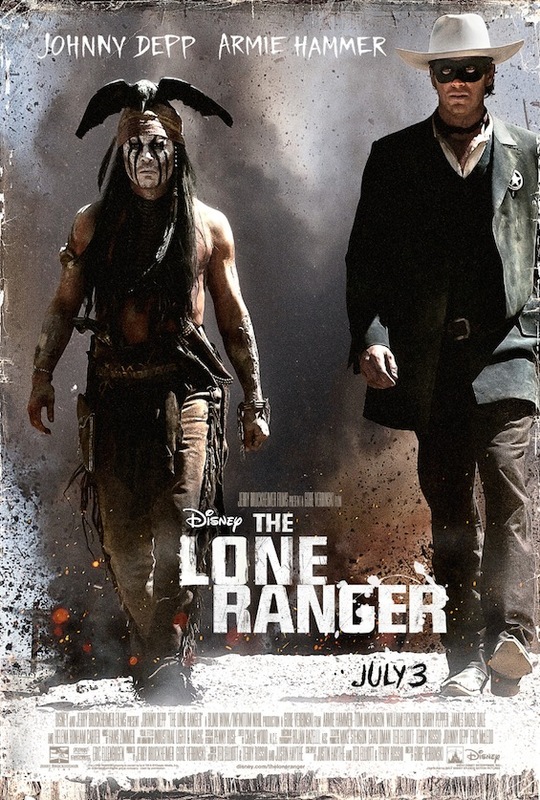 Producer Jerry Bruckheimer and director Gore Verbinski (“Pirates of the Caribbean”) wanted to have fun with the concept of a western/action movie, and were handed the vintage radio and television property “The Lone Ranger” as their vehicle. They’ve retained the bare bones of the original: a masked man called John Reid and his Indian sidekick Tonto (Johnny Depp). Tonto teaches our man how to avenge the death of his brother, who was killed by one Butch Cavendish (William Fichtner from “Prison Break”) and his gang of ruthless thugs. Depp plays his role as an old-fashioned comedy drunk (Jack Sparrow anyone?) but he can do better and it pains me to see him waste his time on such mediocre material. Worse, if you can’t take your hero seriously, and the villains are painted as recklessly violent morons, what’s left for an audience to hang onto? The answer I suppose is a series of jokes and a lot of non-stop action scenes. But even those ingredients need some context in order to work, and at 150 minutes, the movie has nothing else to offer. Verbinski deserves props for trying to revive an old series. But let’s face it, he’s polishing a hopeless script. Nice review Anis. This was just a very boring movie, that lasted way too long and didn’t even seem to do much with its premise. And the movie deservedly flopped: Disney’s losses on the movie are said to be around 150 million dollars. is it worth watching y3ni? Just saw this, and actually I loved it even though I was reluctant to give it a try after seeing all the mixed reviews. To be honest, I don’t get why some people found it boring. I was entertained from start to finish and it was fun. Just don’t take the movie too seriously, and you won’t be disappointed.